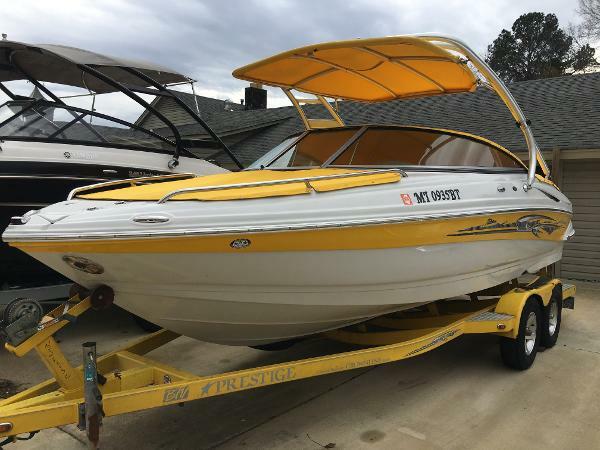 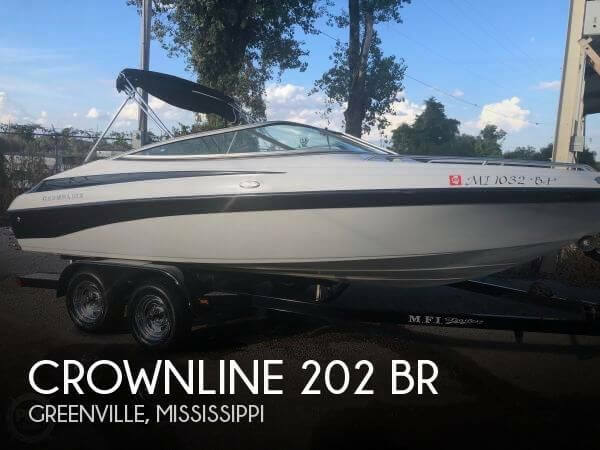 2011 Crownline 245 SS This in stock 2011 Crownline 245 SS Bowrider with her Mercruiser 350 Mag (300hp) (320hrs) is being offered by Southaven RV & Marine in Southaven Ms., just 5 miles south of Memphis. 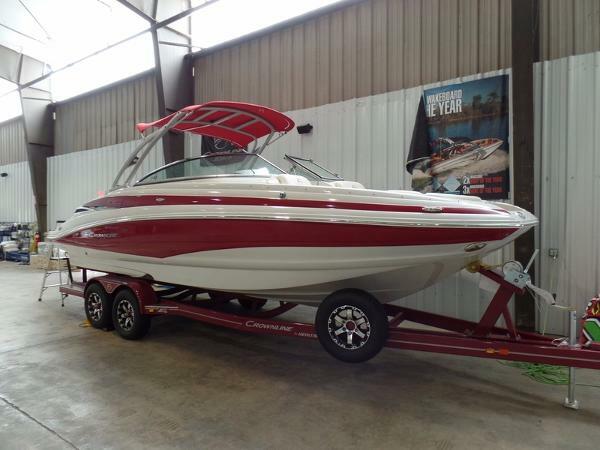 The "Sports Car Styling" of the exterior lines and Crownline's ingenious F.A.S.T.Tab hull design unite to make an eye-catching bowrider that handles like a dream This 2011 Crownline 245 SS was the first model to be introduced with our popular "hot tub" style bow seats. 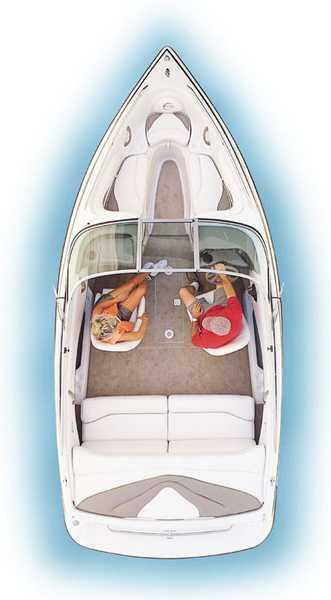 The U-wrap cockpit seating is conversation friendly, with a comfortable 14-degree recline angle. 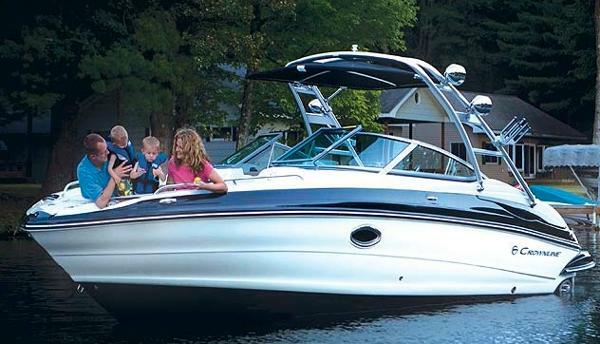 And, the ladies and kids will appreciate the convenience of the enclosed head compartment. 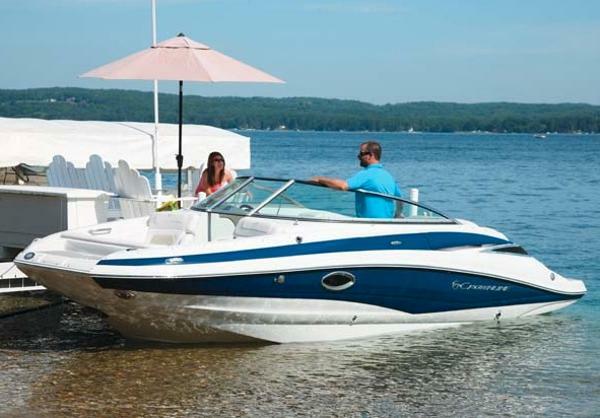 Take your sound system to the next level with the exciting, optional Social Swim Transom, a high-tech entertainment system guaranteed to enhance your on-water experience. 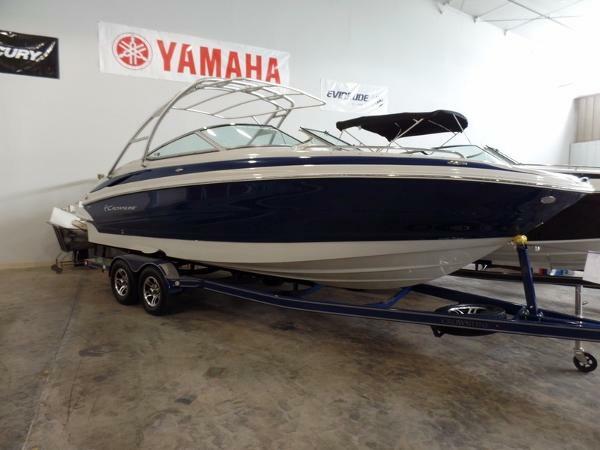 The focus here is on fun without sacrificing comfort! 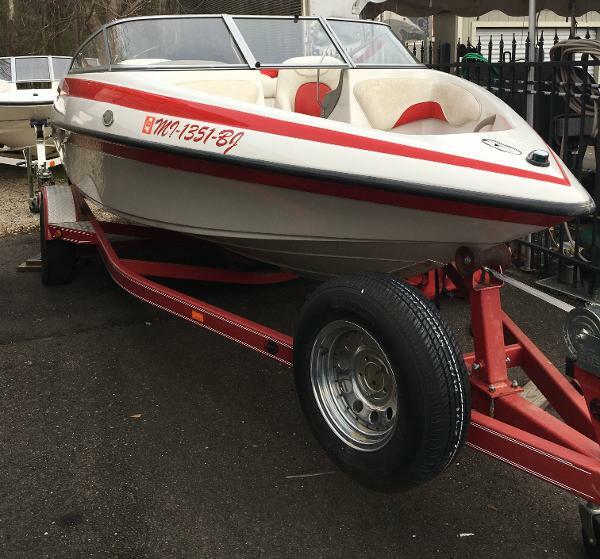 She has a wakeboard tower with speakers and comes with a custom trailer. 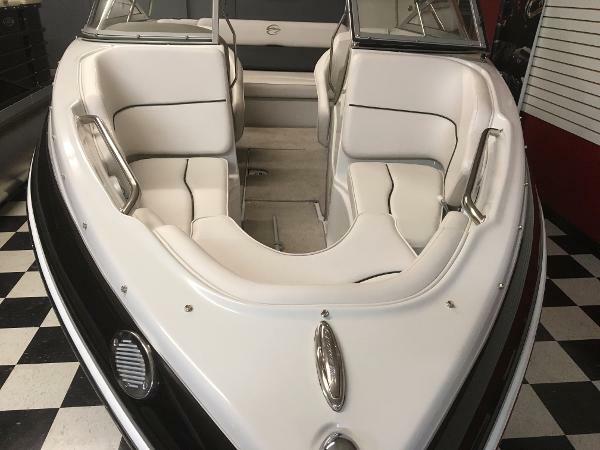 2009 Crownline 21 SS-LPX This in stock 2009 Crownline 21SS LPX is powered by a Mercruiser 5.0L MPI engine and has only 320 freshwater hours. 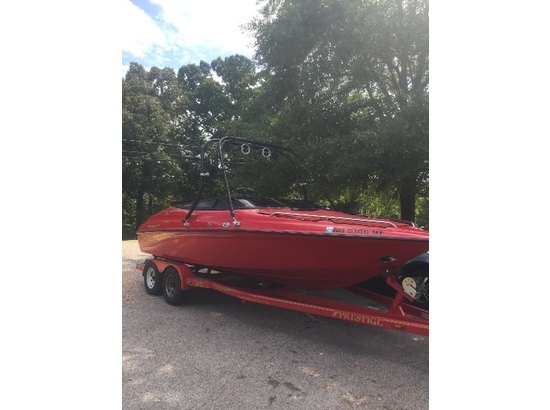 She is equipped with a wakeboard tower, Kicker Stereo w/tower speakers and is good condition. 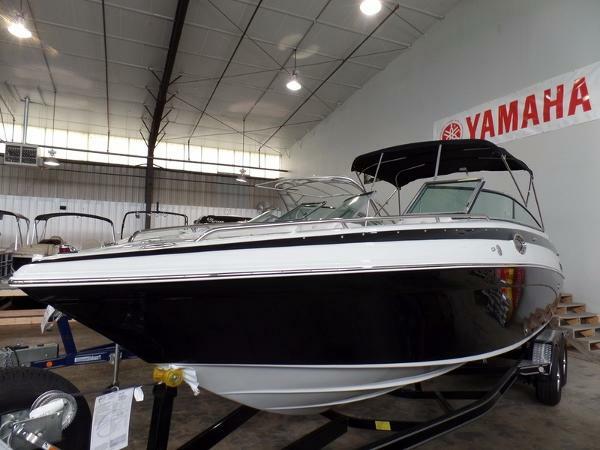 This 2009 Crownline 21 Super Sport LPX delivers a first class, fun boat with walk-thru windshield, walk-thru transom, Super Sport interior with bucket seats and a sundeck with rear bench seating. 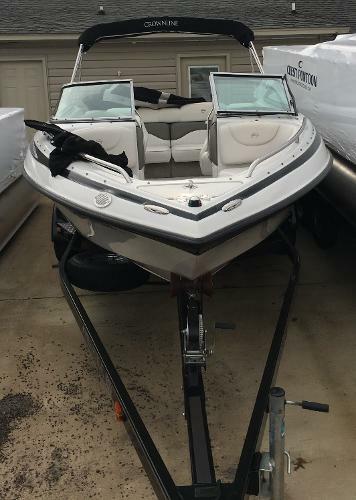 And that’s just a start. 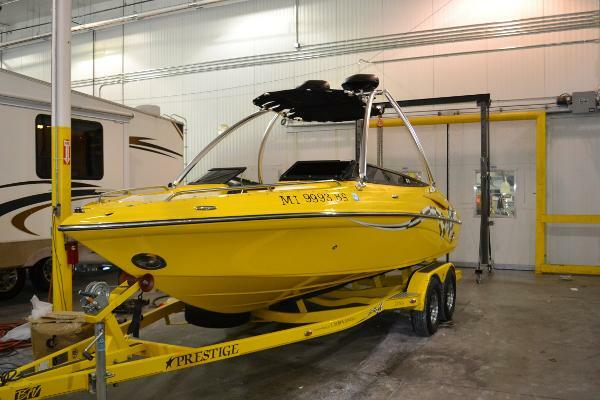 Storage for gear can be found under the rear bench seat and there’s in-floor ski and kneeboard storage compartments, so they’re never far from reach. 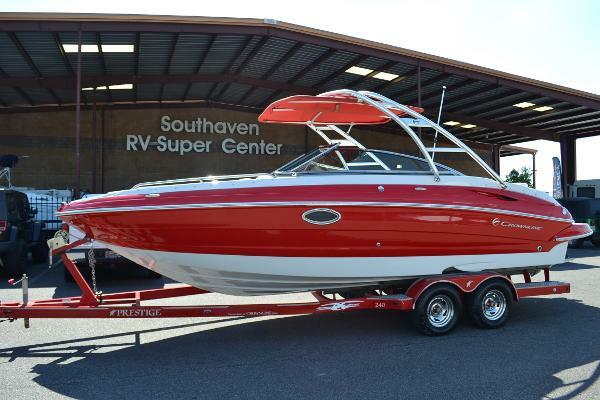 Grab your favorite water toys, grab some friends and hop aboard the Crownline Super Sport 21 SS for a guaranteed great time.